I was given the opportunity to share my thought and views on the issue of value creation in the changing business landscape at the MIA Regional Conference in Kuching, Sarawak, recently. Enterprises are encouraged to focus on the strategy when operating in business environment that keep changing. I advised businesses to understand what value proposition they are offering to their chosen market segment and keep validating their business models when environment and circumstances changes. Change drivers such as politics, economy, society, technology and environment shape business environment and enterprises need to under stand the impact of these drivers on the demand of their goods and services, competitive levels and their capabilities of value creation. During the first day of the conference, I moderated a forum with the topic Challenging Times - A Crisis or an Opportunity which was participated by Datuk Dr Mohamed Ariff from the Malaysian Institute of Economic Research and Thomas Lam Tai Loong from UOB Group Singapore. IN moving ourselves into a high-income economy, we cannot progress by doing business as usual. As Einstein used to say, "Insanity is doing the same thing over and over again and expecting different results". Getting higher income means delivering higher value-add in whatever effort that we do, as a person or as a corporate citizen. The key to this is innovation. Innovation is simply new ways of doing things which add value. This could be new scientific discovery, new products, work processes or business models, amongst others. If we reflect the journey of human beings through time, innovation has been the key ingredient for our survival. Given that we are now in the knowledge economy, we have little choice but to nurture the culture of innovation in all Malaysians. When innovation is mentioned, the focus has always been on scientific discovery. However, the innovation landscape is wider than just having big number of scientists in labs, figuring out how to progress with their researches. Ultimately, whatever new findings, discoveries, ideas and other new ways of doing things should be applicable in the real world for us to really benefit from innovation. This is where there is an increasing need to commercialise the smart ideas and discoveries of our scientists and academics. There are a number of issues that need to be addressed before we can see more discoveries made by our academicians, in particular, be commercialised in Malaysia. First is about the intent of their research itself. Given that the career path of academicians is significantly determined by the number of researches published in academic journals, publication could be the primary driver of the research rather than seeing the results being ultimately applied commercially. As a commercial application is about meeting the needs of the market, research conducted without properly understanding the market may not be easily commercialised. Second is how the ideas or discoveries should be commercialised. The present approach appears to require the researcher to go through the commercialisation process himself or herself. This is fine if the person has interest in business. However, there are people who are comfortable to remain as scientists or academicians. Furthermore, running a business is different from doing research in laboratories. If the person is not prepared to take up the challenges as an entrepreneur, forcing a reluctant academician into business would be a sure recipe for disaster. Third is about access to funding and expertise. While government schemes that provide support for people with knowledge and ideas to embark into business are plentiful, further improvement in this aspect would certainly be welcomed. Given that new ideas or scientific discoveries would carry huge commercialisation risks, there are not many institutions that have appetite for this. This is where more private equity players and angel investors would be critical as their business models and risk appetites would suit seed financing. When the founders of Google received their first funding from their venture capitalist, Google had apparently not developed any revenue model for its business! It would be interesting to observe how the newly minted venture capital company Ekuinas play its role in stimulating innovation in the Malaysian business environment. How would the people with ideas, concepts and discoveries find their angels or potential business partners? This is another part that needs further fine-tuning. One of the ways is to encourage intermediaries to be the matchmaker. We need to have a group of people or enterprises that make profit out of matching ideas and TECHNOLOGY  with potential investors or companies that have the financial muscle and technical ability to commercialise the ideas and technology. Corporates, on the other hand, should also welcome and encourage innovation. Given that innovation is driven by knowledge and expertise, they should also be open to accept ideas or technology developed from outside their organisations. Among the roadblocks of innovation is the "We know everything" attitude where people in organisations feel there is no necessity to look outside for new ideas or technology. Another roadblock is when ideas from outside are not welcomed if they are "not invented here". Such narrow views towards new thinking and ideas would deprive corporates from considering opportunities that could transform them into more competitive enterprises. Given that there are many individuals and institutions that have the potential to be inventors and commercialise their ideas, a healthy innovation eco-system should be nurtured. This includes providing the platform where researchers, intermediaries, corporate, financiers and developmental agencies could meet and share their issues and develop solutions. While there are initiatives of this sort in the information technology and biotechnology sectors, such effort could be expended across all sectors. Not-for-profit organisations could also play their role in supporting communities for innovation. Market-based initiatives and solutions would be the sustainable way to encourage innovation and enhance the number of ideas and technology being commercialised. So, when we hear people demanding the old ways and practices to be retained, we should softly whisper to them the quote from Einstein so that they could be persuaded to start thinking like innovators. SOCIAL enterprise is a new term coined to describe a new breed of business where contributions towards the betterment of the society or conservation of the environment are the main aim. However, different from the traditional not-for-profit organisations where funding comes mainly from support and contributions of donors, social enterprises are involved directly in business and generate funds from business. The areas of business in which social enterprises are involved contribute directly towards their objectives of good cause, social improvements and sustainability. For example, providing credit to the poor and needy in financing their business ventures remains the core purpose for many micro-credit entities. In the area of sustainability, a number of social enterprises are involved in providing services to companies in assisting them to implement sustainable business practices. Social enterprises re-invest the profits made into their operations or fund activities which support their core aims such as providing scholarships to poor students, educational activities or funding research and development. By generating their own funding through business activities, social enterprises are more independent in terms of funding compared with not-for-profit organisations. Given that business is full of risks; social enterprises carry different risk profiles compared to their not-for-profit cousins. They have to be run like any other business while at the same time need to ensure the broader ideals and objectives they pursue are achieved at the same time. Having business dealings with companies which could be adversaries in the context of their ideals would be a delicate relationship to manage. Due to the nature of social enterprises, it would not be a surprise at all for these kinds of entities to be founded by people who champion certain social and environmental causes. The burning passion to see through that the pursued societal and environmental objectives are achieved would be the main motivator to get the social enterprise business cracking instead of the typical motive to generate profits. The challenges for these promoters are that not only they must have the passion about their causes but they need to be good at certain skills or services so that the business of the social enterprise is viable. So, big hearts and business acumen are among the success factors for social enterprise. In addition to that, having right business models and getting support from quality people would be important as well. Given the complexity of issues facing the society and the importance of pursuing sustainability as an agenda, social enterprises are fast becoming the important component of our economy. Due to its enterprising nature, a social enterprise has to create value for the customers it serves. This maximises the efficiency of funds employed for the enterprise, creates value to the economy and makes the surrounding environment a better place to live. Should there be more support for social enterprise? Well, for companies which are involved in businesses that create environmental problems, dealing with social enterprise which could help in implementing good business practices would be a compelling business proposition. Not only they get services that they pay for, but the services are provided by people with high passion to get the best possible outcome from the job. It would not be a surprise if there are tensions at the initial stage of the business relationship as both sides learn to overcome the general perception that sustainable business practice could be costly and businesses only care about profits. However, if both parties are pursuing the same agenda in finding ways that is sustainable for both the environment and business, the initial hiccups could be overcome. Some of us may also wish to see that social enterprises are given certain incentives and support by the government such as tax concessions and financial assistance. While the thought might be noble, the risks of the social enterprises slacking down due to the incentives should also be considered. Any assistance should be structured in a way that does not take away the entrepreneurial spirits from the enterprises. Business in the distant future would see interactions between enterprises, government, not-for-profits and now social enterprises pursuing multiple objectives and interests.At the same time, the demand for more responsible behaviour from the corporate sector will definitely increase. It would be in the interest of everybody if social enterprises could play their role in meeting certain gaps that exist between the interest of our society and corporate interests. Humans are entrepreneurial in nature and a social enterprise is another platform where the entrepreneurial spirit could be further nourished while the society can be served and our environment protected at the same time. Expect more of these enterprises soon. IMAGINE in the not so distant future when our children would have to pay the real cost of living in a situation when the full impact of the depletion of our natural resources is felt in this country. Perhaps at that time, Malaysia would be a net importer of petroleum and the government would no longer afford to subsidise fuel prices as what it does now. 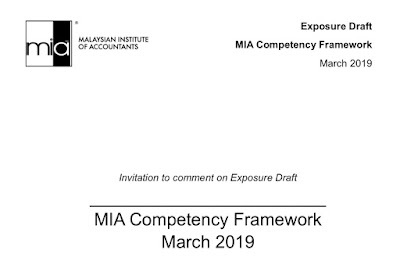 Malaysian companies which are so used to subsidy suddenly realise the meaning of operating in the real-cost environment and their competitiveness will severely be compromised. Even the price of drinkable water could be multiple times more than what we pay now as water sources get contaminated by reckless development of the past. Just imagine what would be the price to pay for electricity to light up houses and operate basic electrical appliances? When such a reality comes upon us, people will look back into history to find out who were the culprits who failed to do the right thing when they could have made the difference. Chances are the fingers would be pointed towards all of us! How many of us take sustainable living and development seriously? When the government tried to pass the real cost of fuel to consumers, most of us protested. We all know how much it costs to subsidise fuel prices and what could have been done with the money in other areas such as education and health. But, we want our cheap petrol and diesel, and do not bother to change the way we consume energy. Never mind that this habit would result in faster depletion of our fossil fuel reserve and brings us closer to the point where we would be a net importer of fuel. The subsidy on fuel has greater impact on business practices. Given the subsidised fuel and energy costs, our companies do not see the need to be energy efficient and are not challenged enough to review their business models and how they compete with foreign companies which do not have such advantages. As the saying goes, complacency breeds contempt. When we reach the turning point and fuel subsidy is no longer viable, a lot of Malaysian companies would be caught unprepared. The longer these companies wait to change their attitude towards sustainable business practices, the greater would be the cost that would be paid by them later. Some may not even survive. Our present attitude towards the environment would not make all of us proud either. In the name of development, logs are harvested without much consideration to the impact on water resources and stability of the environment. Even forest reserves are encroached. As usual, we have adequate laws that are meant to protect our environment but enforcement is on a more reactive basis. Due to the constitutional arrangement that we have, the revenue to state governments comes mainly from land-related activities. This creates the pressure on them to maximise activities such as logging, mining and further development of land which aggravate the issue of environmental sustainability. While there are Malaysians who care and try to bring environmental issue into the main-stream, more of us are comfortable with our lives and do not see the need to advocate better management of our environment. After all, we love our plastic bags when we go shopping. One of the challenges that we face in advocating the sustainable way of living is whether the majority of Malaysians can afford it? This is perhaps the main stumbling block for a meaningful transformation of lifestyle to happen. Paying for unsubsidised fuel for example means Malaysians would have less to spend on other things. This is perhaps the reason the government is trying to increase the income level of our people by starting to formulate ways of making Malaysia a high-income economy. Such efforts cannot be completed without a fairer distribution of wealth so that all of us can afford to live in a sustainable way. This is where the fight against corruption is important as corruption distorts wealth distribution. Corruption also contributes towards environmental mismanagement when approvals are given based on kick-backs and enforcement is compromised for the same reason. At the corporate level, investors and shareholders should demand sustainable business practices to be incorporated in the measures which the chief executive officer's (CEO) performance are assessed. Otherwise, financial performance could be the main focus. As earlier discussed, operating in a manner that is friendlier to the environment could be somewhat costly, and without pressure from investors and stakeholders, there would be no incentive to consider that option as it would affect the bottom line of their companies. It is still not late for us to leave a better environment for our children and their children. Most of us have tasted the fruits of the labour of our forefathers. What kind of legacy do we want to leave for the next generation of Malaysians to experience? THE recently announced national key result areas (KRA) which are being pursued by the government would reform Malaysia into a more competitive economy with enhanced distribution of wealth and better quality of life for its citizens. Yes, they are meant for you and me. The six areas covered are reduction of crime rate, combating corruption, widening access to affordable and quality education, raising the living standard of the poor, improving infrastructure in rural areas and improving public transport in the Klang valley. To ensure results are produced, each area is assigned to a specific minister who would be accountable for the outcome. Presumably the next step would be the cascading of the responsibilities and tasks of delivery to specific ministries and government agencies and for specific action plans to be drawn up for immediate implementation. The cascading should also be accompanied by assignment of responsibilities to individuals within those government arms, including agreeing on the consequences if they fail to deliver what has been promised by the government. Given the KRA is a national initiative, we cannot assume that the responsibilities to deliver would solely lie upon the government. Some desired results cannot be achieved without our support and cooperation. Let us consider the target of improving global perception on corruption in this country, an area where the involvement of the private sector would certainly be one of the key success factorsThe government has indicated that among the steps that would be taken are the improvement in policies, procedures and enforcement of those policies and procedures as well as the use of open and restricted tender for all government procurements with certain exceptions for sensitive areas. The citizens and private sector could certainly provide ideas, input and feedback in making regulations, rules and procedures simpler and more transparent. What is needed is the opportunity for such involvement. If we take the Pemudah initiative as an example, improvements could be made within a short period if experts from government and private sectors work hand in hand to achieve the objective of reducing unnecessary bureaucracy and eliminating outdated procedures. All government departments and agencies could set up Pemudah-like committees and pursue very optimistic measurable outcomes in making dealing with government agencies a pleasant experience for all citizens. Another low hanging fruit would be the implementation of initiatives that have been agreed upon or endorsed. For example the report by the Company Law Reform Committee which would simplify business rules should be implemented immediately and not be deferred any longer. This would certainly reduce the burden of compliance for many entrepreneurs who have been suffering in silence all this while. The private sector could also introduce measures which would prevent corruption within their own organisations and avoid being involved in any form of bribery. Initiatives such as whistle-blowing policy, integrity pack and anti-bribery clauses in commercial agreements would cut down the incidence of corruption and chances of bribes being offered. Many non-governmental organisations would be happy to provide advice and guidance in this respect if opportunities are provided to them. Further strengthening of corporate governance and integrity by the private sector as well as the public sector would reinforce the effort in reducing corruption in Malaysia. The society as a whole should also register its strongest distaste towards corrupt practices irrespective of who the perpetrators are. Corruption creates a lot of distortion in the economy especially in the distribution of wealth and opportunities to citizens. At the end of the day, it is society that shapes how corruption is tolerated in this country. We should be asking ourselves what efforts we have done in eradicating corruption from our society. Whatever we feel about our education system, it is a very important component in eradicating corruption. The system should instil good values among young Malaysians so that the practice is viewed with the highest contempt; and not a tolerable behaviour as what was reported in the news recently. Would this be included in the KRA as well? The open tender policy should be welcomed by the business community as a step forward in encouraging competition and rewarding performance. This would also make government spending more cost effective due to heightened competition among the suppliers and contractors. Considering all the six KRA, the performance measures on combating corruption is less specific compared with the rest. It is hoped that more specific measures and result areas would be announced so that appropriate assessment could be made on whether the outcome in this area is as promised or otherwise. Perhaps the focus should be on reducing real incidence of corruption and not just on the perception of corruption. Just like during our student days, awaiting the results of this initiative fills us with anxiety and hope.